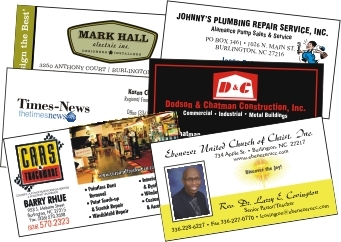 My Company has used Markell Printing for over 20 years. They have excellent service, great quality and a great design team! 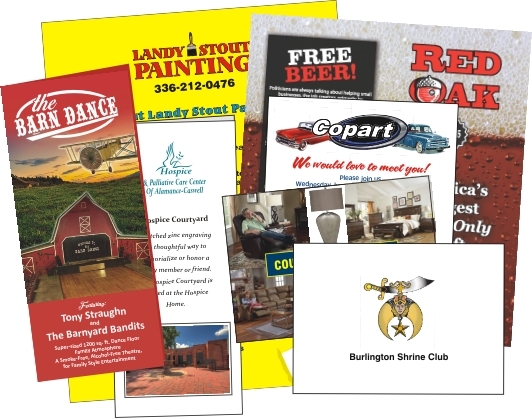 Markell Printing offers a wide range of full color products. If you need creative assistance, our art & design department is ready to make your experience a simple and easy process. For an extra charge we will design business logos, business cards, flyers, brochures, postcards or whatever your current project needs. Call 336-226-7148 or email markellprinting@bellsouth.net for estimates and help. Graham, Mebane, Greensboro, High Point, Winston-Salem, Chapel Hill, RTP, Durham and Raleigh, NC.